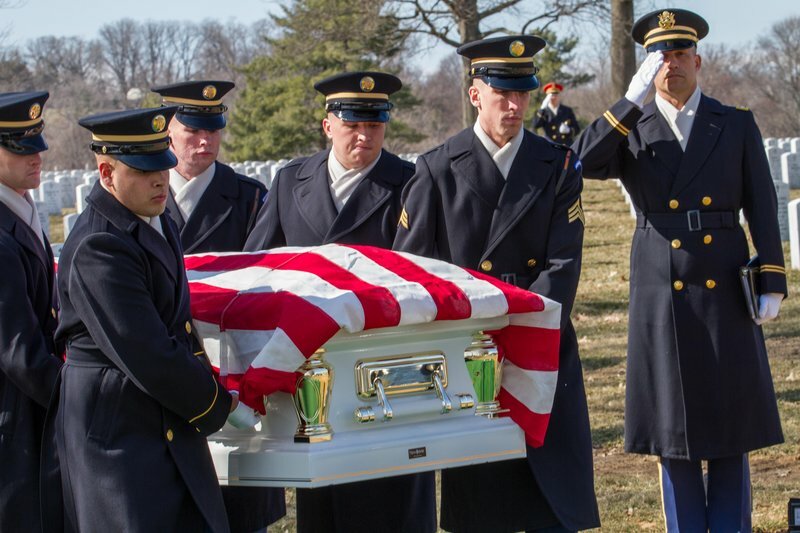 2014, the 150th Anniversary of Arlington National Cemetery included the reburial of Sp5 Wyley Wright Jr. and his wife. 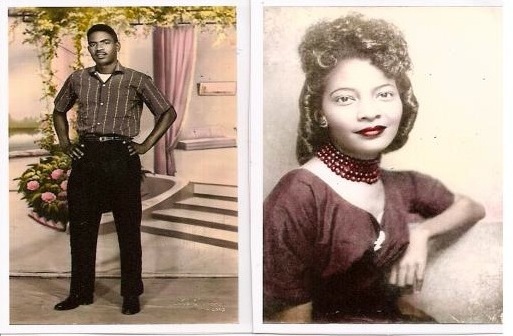 The Wrights exhumed Wright from a segregated cemetery in Jacksonville, FL and Mrs. Wright from a cemetery in Georgia to be buried at Arlington for the anniversary of their March 9th deaths 50 and 44 years respectively. They were laid to rest March 10, 2014. Sp5 Wyley Wright Jr.& Ouida F. Wright-photos hand painted in Saigon circa 1963. Chaplain Theodore Randall Salutes Sp5 and Mrs. Wyley Wright Jr. at Arlington. 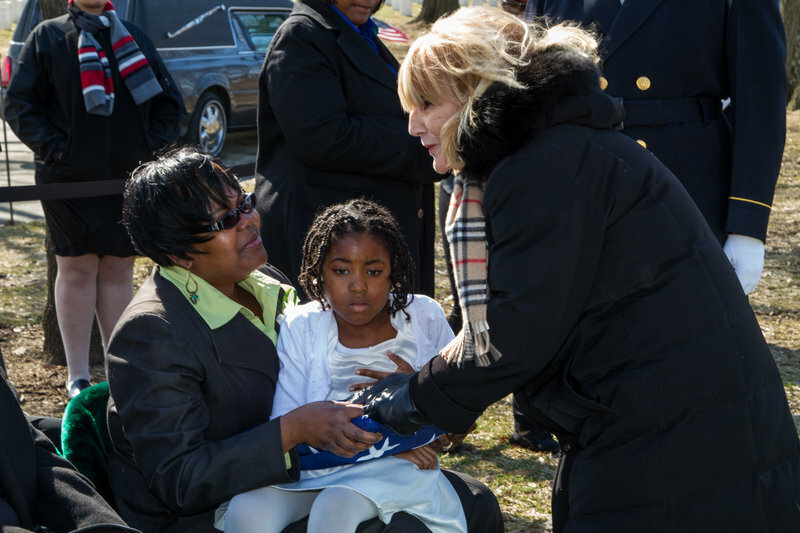 Phyllis Cameron, six months old at death of Sp5 Wyley Wright Jr., Receives Flag. The Wrights Greet Mr. & Mrs. George Moll & Ginger Shannon Young. 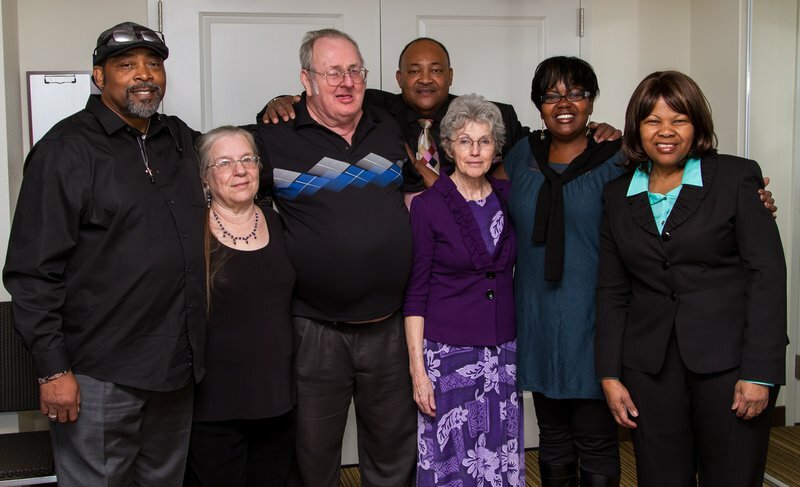 SAN FRANCISCO - Dec. 8, 2014 - PRLog -- As 2014 nears the end, the Wright Family notes its accomplishment of honoring Fallen Viet Nam War Hero Sp5 Wyley Wright Jr. and his wife, Ouida F. Wright by having them buried at Arlington National Cemetery during it’s 150th Anniversary. 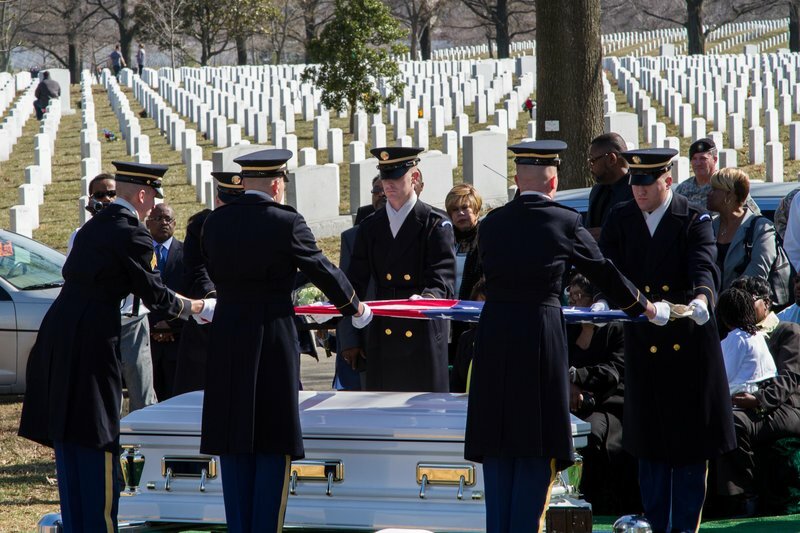 Wright, who served as an Honor Guard for Secretary of Defense Robert S. McNamara at the time of his death was moved from a segregated cemetery in Jacksonville, Florida and reburied with his wife Ouida F. McClendon Wright at Arlington National Cemetery on March 10, 2014. It was the day after the March 9 anniversary of their deaths in 1964 and 1970 respectively. Born December 7, 1931 Sp5 Wright was inspired to join the military as he was a ten year old when Pearl Harbor was attacked. Six years after the traumatic attack on the nation, Wright joined the U.S. Army and served in the Korean War. “Honoring our father and mother at Arlington was a great achievement and an appropriate action since our father had served in two wars and was only a few years from retirement when he died two weeks before returning home,” said Joe Wright, a bus driver for the federal government, 59 of Columbus, Georgia and a U.S. Army Veteran. “I thought it was also interesting to note that our Dad was in the jungles of Viet Nam when the historic March on Washington occurred and this year as the 50th Anniversary of the Civil Rights Movement was heralded he was honored at Arlington after we moved him from a segregated cemetery,” said Stanley Wright,56 of Orangeburg, South Carolina, owner of Done Wright Trucking. Insurance executive, Phyllis Wright Cameron, 51 of Antioch, CA was six months old at the time of her father’s death and five years old when her mother passed. “It was a unique experience to consciously be in the presence of my father and finally to clear up the question as to whether his body was recovered or not,” said Cameron. The Military Honors and Ceremony at Arlington Ceremony are included in the video link (Time mark: 49: 1:06) : https://vimeo.com/92472239. Chaplain Theodore Randall, originally of Pleasant Hill, California performed the military ceremony. “No one expects to have their loved ones moved once they are interred. In what became an unexpected honor, what I found most endearing was the care of Greene Funeral Home in Alexandria, VA., Carthage Funeral Home in Jacksonville, FL., Delta Airlines Fallen Heroes Program, the Wilbert Vault Company and all the concerned professionals that deal with memorials and funerals,” Jackie Wright added. The remaining tribute the family is waiting on is the headstone with their parents’ name. Now when family and friends visit Washington, D.C. and the Wall, They’ll not only see Sp5 Wyley Wright’s name, but will also be nearby his grave shared with “the love of his life” at Arlington National Cemetery in Arlington, VA.